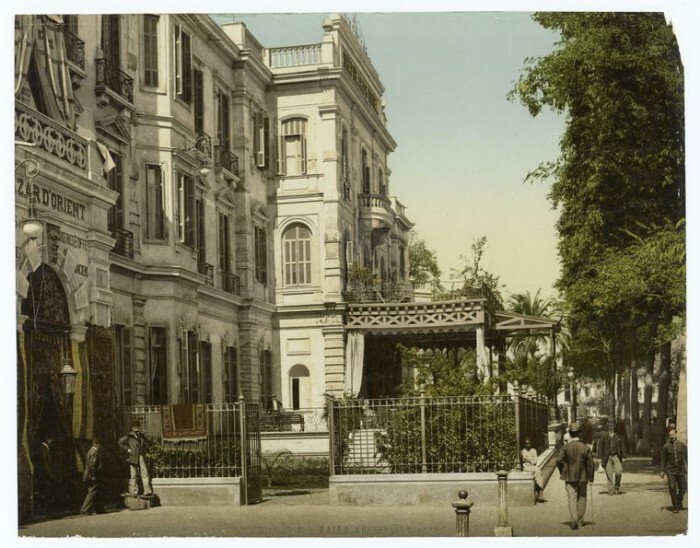 The Thirties, a decade of decadence and depression, ending in war. This hardly has an effect on Ron and Mervyn, our intrepid pleasure seekers. 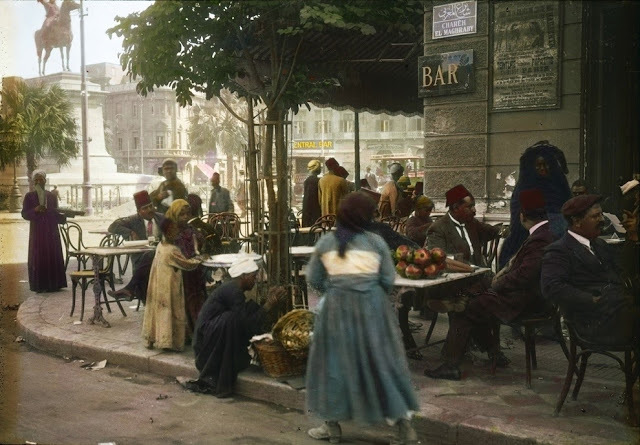 Disregarding the rumblings of war in Europe, and dancing to a dying tune, they join the waning fast-set, cruising Norwegian fjords on luxury ocean liners and sailing up the Nile on serene feluccas. 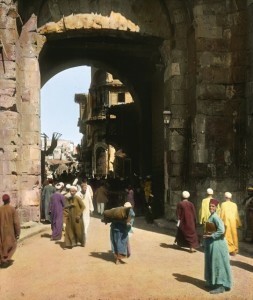 Explore the bygone age of first class sea travel and luxury oriental hotels, summer on the glaciers, and the heat of Cairo’s social season. All seen through the eyes of Ron and Mervyn, the gayest pair of lotus-eaters you will ever encounter. J.A.Wells uses his rich imagination, creating a colourful cast of living and breathing characters. We will wonder what may become of the pairing of Ron and Mervyn, poles apart in age and class, yet similar in inclination. In most circumstances, at this point the author writes a disclaimer declaring that his or her characters bear no resemblance to people living or dead. However, in this case, most of the persons you will encounter in the story, once lived, but their names have been changed for reasons of expediency. I hope that by including them in this work of fiction I have given them the justice they deserve and have not sullied their reputations in any way. Throughout this fictional memoir of a millionaire, using the voice of Captain Ronald Fry, ex army captain, scout master, philanthropist and benefactor, I tell how it was to be gay in the 1930’s, when homosexuality was against the law and punishable with years of hard labour. To show one’s true feelings, one ran the risk of blackmailers, entrapment, robbery, violence, and even murder. 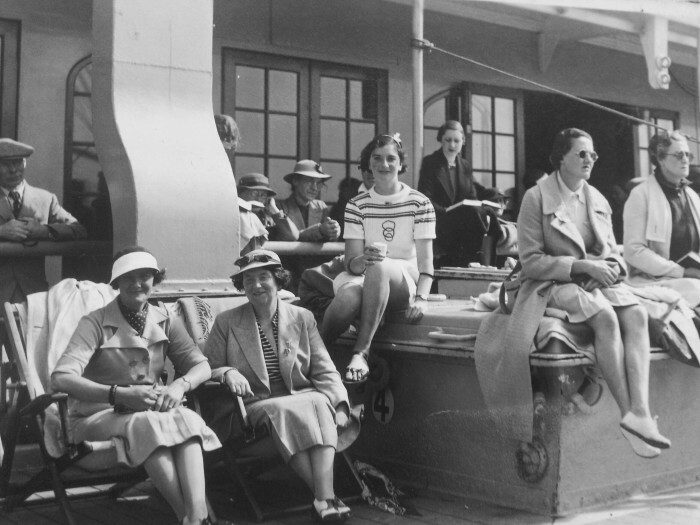 Sun seekers on RMS Viceroy of India 1935. Fellow passengers of Ron and Mervyn. 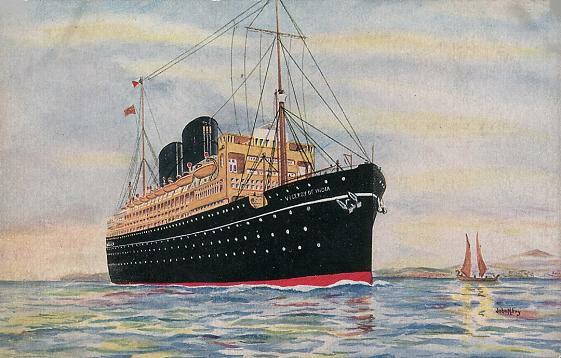 RMS Viceroy of India, under steam. North Cape. 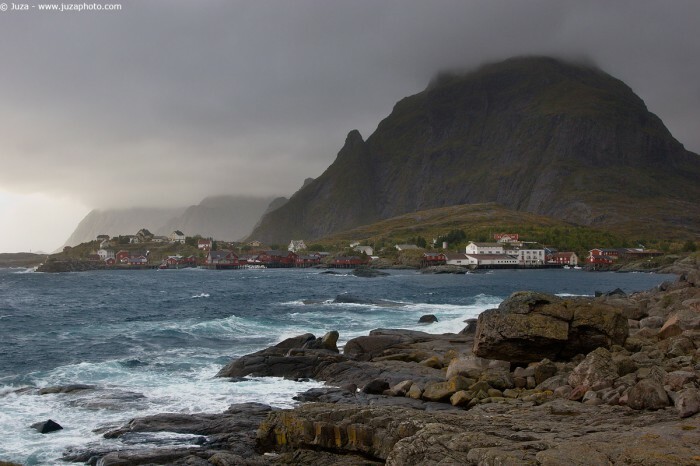 the most northerly point in Europe and the last destination of Ron and Mervyn’s summer cruise on RMS viceroy of India. 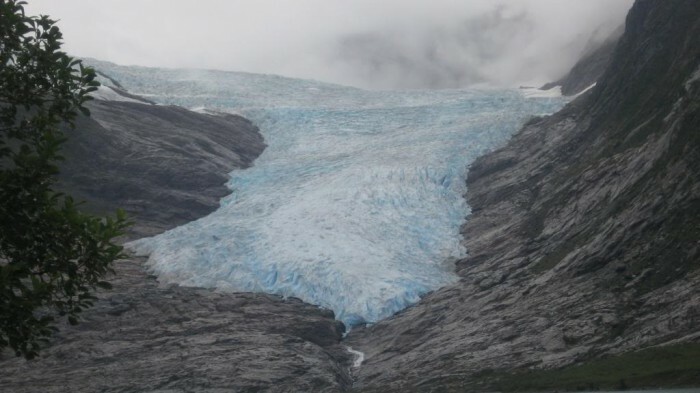 Drawing closer, we could see more of the glacier’s structure, until the precipitous wall of ice towered above us, causing our little vessel to seem quite insignificant. Deep clefts, which could easily swallow a man, gouged the surface, as if a giant with a pic had attempted to cleave the ice apart to expose its heart. The clefts were an attractive shade of dark blue, at the same time, appearing rather menacing. Nearer the surface the colour of the ice became lighter, Officer Wickham, acting as our guide, explaining the colours were due to the density of the ice, the dark blue being older than the light blue, the lighter recently frozen snow still containing air bubbles. The visual impact was not the only sense-provoking element of the glacier, since the smell of ice was extremely strong, and could only be described as the scent one experiences on a snowy winters morning, only intensified twenty fold. Most days in Cairo begin the same, with the sky turning golden behind the rooftops, blending upwards into orange, then blood red, and finally indigo. In due course, as the call to prayer issues from countless mosques, the gold conquers the red and blue, as the sun suddenly flashes above the buildings, striking like a blazing sword into the heart of the city. Despite having seen the spectacle a hundred times, it continues to inspire me. Our world has changed in many ways, our European based cultures have become more reasonable, and all inclusive of religious philosophies, racial and cultural differences, as well as sexual orientation. Of course, pockets of resistance still exist and resound, through the voices and actions of the un-enlightened. That said, I retain a certain conservative view of the world, so it was with hesitation that I accepted an invitation to apply my skills to the production of a book, following the journey of a “gay” character. The Captain is a very rich “gay” English gentleman, whose lifestyle might be looked upon today with a critical eye, in light of our society’s courageous attempts to protect the young. The richness of this story gives us a window into the fascinating world of affluent English toffs, during the 1920s and 1930s. We journey with Captain Ronald Fry, the merry millionaire, and his mentoree, Mervyn Watson, shrewd beyond his years, as they travel, surrounded by the sumptuous luxury of their world, edged with the secrecy and danger which accompany their similar “inclinations”. The book follows an unpublished “fictional memoir” discovered after the death of the main character, Captain Ronald Fry. The Captain lives a double life , being a gay man living in a world where to be gay is illegal and unacceptable in the light of day, but with discretion, deceit, and a lot of money it remains possible to be “merry”. J.A.Wells has written a lively tail of fun, travel and adventure, set squarely in historical events of the time. His depiction of magnificent cruise ships, share with the reader his love of gorgeous interiors, clothes and theatre. His descriptions of exclusive gentleman’s clubs, sleazy French cabarets, and opulent English and Egyptian hotels, gives texture to the story, encouraging us to stop and absorb a sense of time and place. J A Wells can put us right there, just as though we are in the room, relishing its opulence, colour and light, sounds and smells. The story covers Ron’s experiences during the First World War; how he accepts his gayness and adapts to its demands. Then later, he and Mervyn become mentor and mentoree in the Greek sense. Ron showers Mervyn with generosity, generosity that even includes Mervyn’s sisters, brothers, mother, father, plus his group of friends. Ron and his companions swan around England’s West Country, cruise Norwegian Fjords, and later, go on a rescue mission to Egypt. 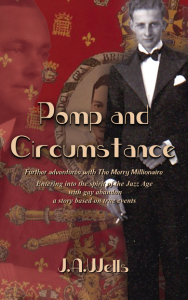 The Jazz Age is over, but Ron and Mervyn are hardly aware of the fact, the unlimited supply of Ron’s wealth allowing his friends and family access to many wonderful experiences. 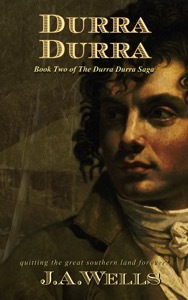 This story is a tapestry filled with colour and texture, however, bordered with dark edges. It is driven along by Ron’s story, and how he side steps society’s rules of behaviour, at the same time remaining a likeable character, with all the traits of a benefactor. Doing much good for others, but at the same time using his position of power to position himself perfectly for questionable opportunities. 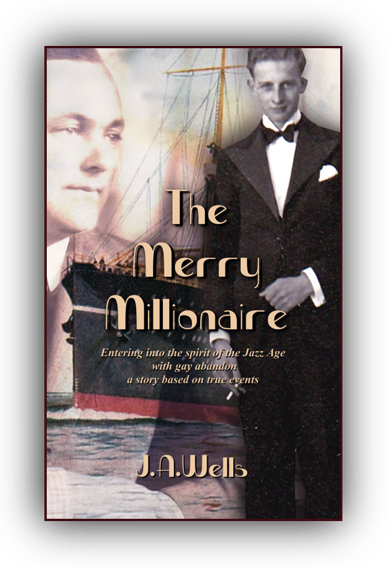 Reading The Merry Millionaire with the sensibility of the political correctness of today, and the knowledge that all is not “good” or “right” within the story, adds an edge to what is a rollicking tail of a very merry millionaire.